Looking at the list [of the best candidates for the 2014 election cycle], it’s immediately apparent that Senate Republicans did an outstanding job of recruiting this cycle. …But, when you look at the totality of the campaign, it’s clear that Cory Gardner was the single best candidate of the 2014 election. …Gardner’s decision was also symbolically important. It mattered that an ambitious rising star within the GOP suddenly saw opportunity where, he thought, none existed before; it was a lift for the entire GOP. Colorado Democrats may come to rue the opportunity they just missed: if a candidate as good as Gardner could not win a state-wide election in Colorado during a mid-term election, one could safely write Colorado off for any Republican for at least the next decade. At best, national campaign committees like the RGA and the NRSC would have dialed back the resources they tossed at Colorado. Likewise, many right-leaning outside groups would look to play in other states before wasting their money on Colorado. Essentially, a Udall win would have been the official death knell of the Colorado Republican party. 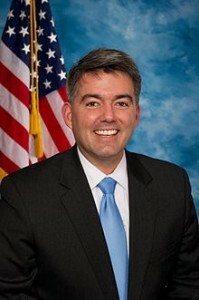 Gardner’s campaign performed a series of carefully choreographed moves that were impeccably executed. …the suburban Denver district was on track to be the heavyweight matchup of the cycle. But Coffman defined himself early as a reasonable force within the GOP conference. By mid-October, the DCCC pulled much of its television advertising. Coffman went on to win by 9 points. As Colorado Democrats continue to try to spin how they didn’t just get their asses handed to them this last cycle, the verdict from the national media is this: they did.